We deliver to the needs of our clients by providing them with first class Compressor Cylinder Liner & Pistons. The products that we bring forth are for both air and gas compressors like Hatlapa, Hamworthy, Sperre, Sabroe/ACCEL, Voltas/Carrier, Atlas Copco, Kirloskar/Grasso etc. Grades: CI FG-150, Cl FG-200, Cl FG-260, Cl FG-300, Cl FG-350, Cl FG-400. - Weight Range : 2 kgs. To 70 kgs. We are reckoned amongst one of the foremost entity, we are offering our clients impeccable quality Hydraulic Cylinder Piston. Our wide array of air brake pistons have been used in air brake valve of trucks. These pistons are durable and assure our clients of higher efficiency. Made from premium quality raw materials, these pistons have been designed and developed by our clients in the national as well as international market. We carry Single Piston Cylinder for Eaton- Vickers, Yuken India Ltd & Rexroth. The pistons we offer have gained huge acknowledgement in the market for their high quality and durability. These spare parts are extensively used in Bajaj three wheeler auto rickshaws. 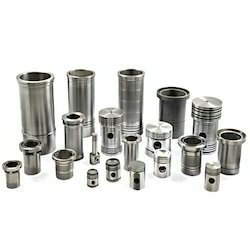 However, we also have the ability to supply these pistons as per drawing or sample from the clients. DN Forge is a leading producer of cast Iron cylinder liners, sleeves, and pistons for automotive, industrial/commercial and diesel engines and compressors. An expert in manufacturing iron liners for aluminum block applications, DN Forge has been a major in OEM supply. Offering a cylinder piston made with high dimensional precision and best asthetics. Backed by our team of experts we are offering precision engineered range of Master Cylinder Pistons that is used in air brake valve of trucks. These pistons are durable and assure our clients of higher efficiency. Manufactured from quality raw material, these pistons have been designed and developed by our clients in the domestic markets. Specification Material used in Piston are silicon based having good Thermal conductivity and low Thermal Expansion to resist high hot. We offer wide range of Pistons suitable for various kinds of engine. 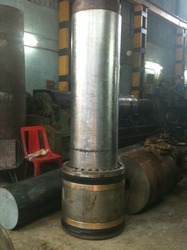 We can also develop any pistons according to samples or Drawing as per customer requirements.